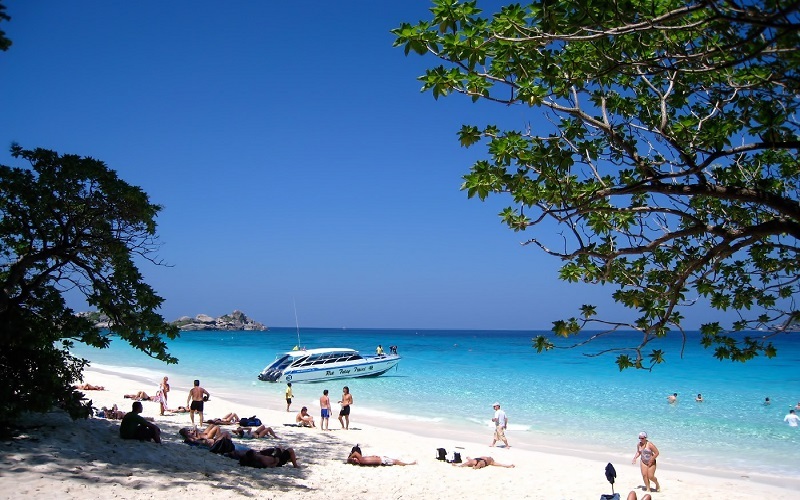 Similan Islands : A group of 9 small islands 50 kms. 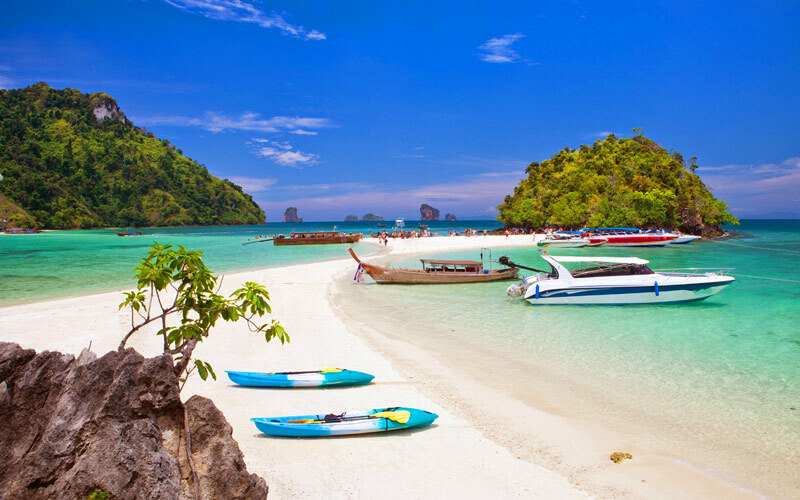 off the west coast of Phang-Nga in the Andaman Sea. 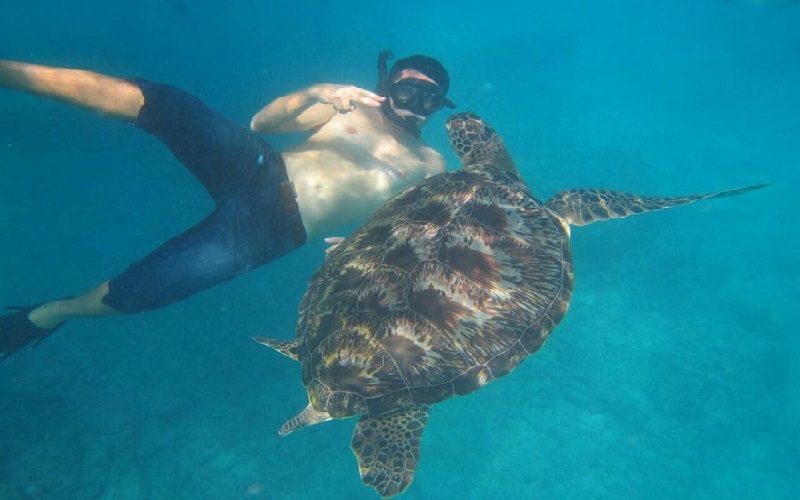 It can be reached in about 10 hrs by boat from Phuket or 4 hrs from Thap Lamu Port or Takua Pa in Phang-nga. 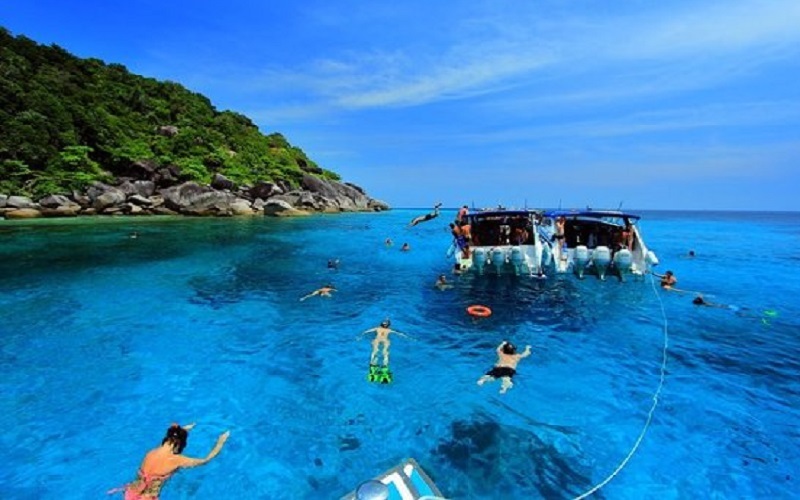 The national-park-on-sea off Phang-Nga, Similan is famous among tourist, both domestic and foreign, for its uncontaminated water and abundant marine life and as a place for angling and scuba diving. 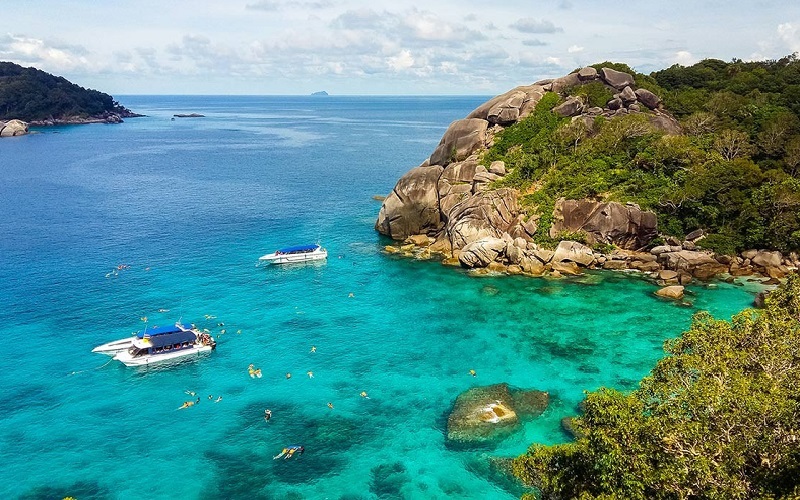 Similans are Thailand’s best Marine National Park and is scheduled to become a World Heritage Site - Skin-Diver Magazine has acclaimed it one of the ten most beautiful places in the world for above and under water scenery. 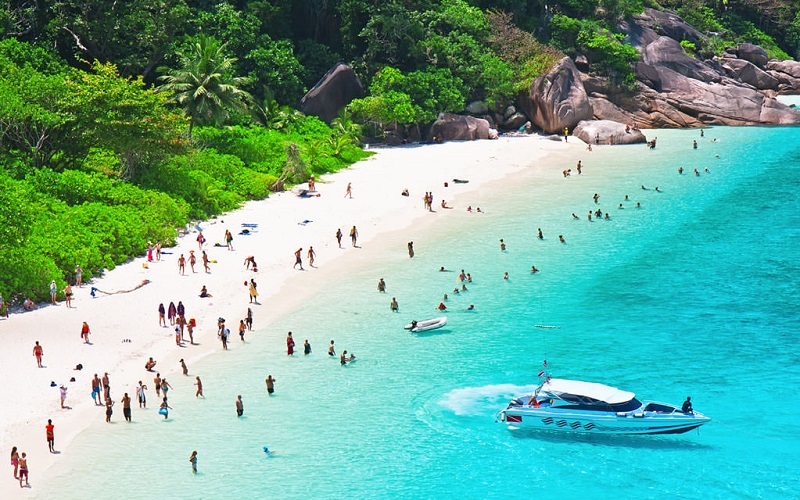 In short - this is how a tropical paradise should look like! 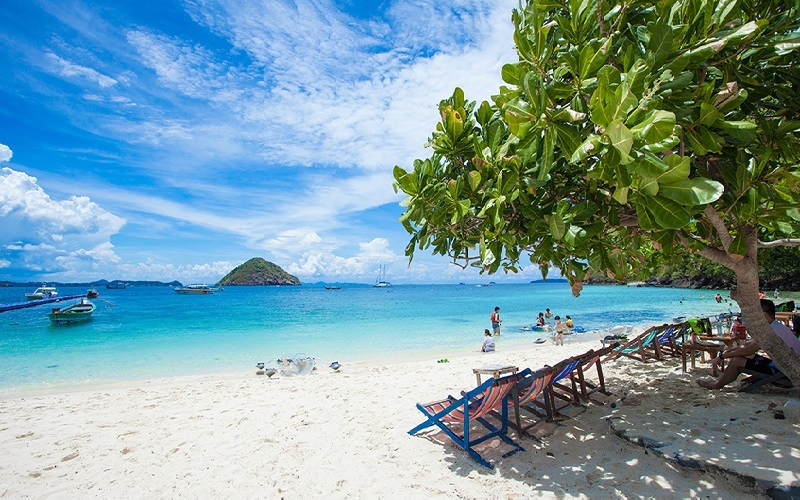 The fact that nobody has lived here and the distance from Phuket and the mainland is what has kept these islands in such a good shape. There are nine islands in the park and they are numbered 1 - 9 starting from the south. 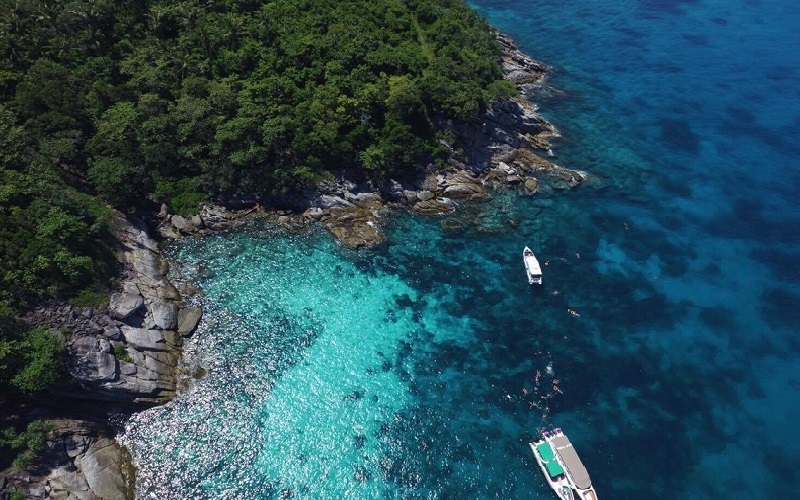 Because these are the oldest coral reefs in Thailand, some 5000 years old, there is an enormous diversity in species - both in fish and corals. 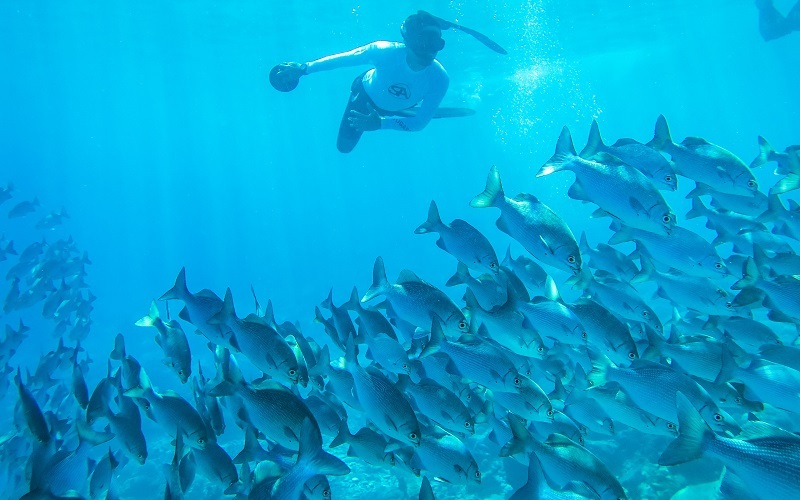 And the visibility is the best you will find in Thailand! 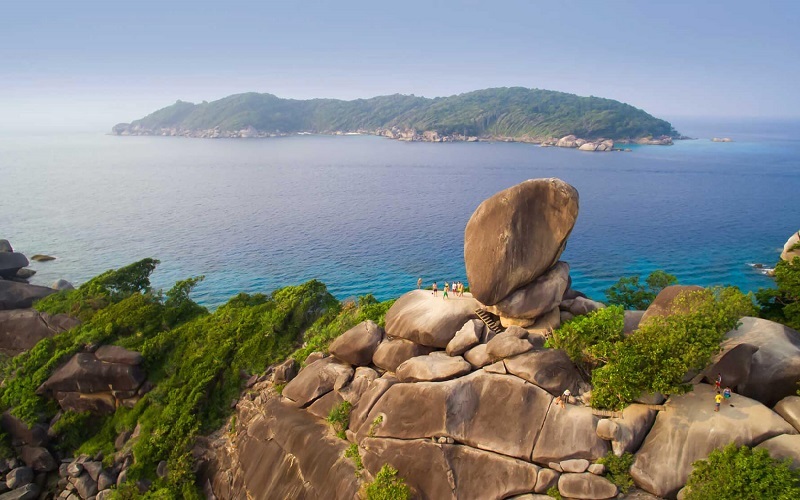 The dramatic scenery of big granite boulders continues under water, the west side of the islands are exposed to the south-west monsoon that brings rain, strong winds and waves in the summer, (mid May - October). On the protected east side you will find the best corals and beaches - and they must be some of the whitest best beaches anywhere! 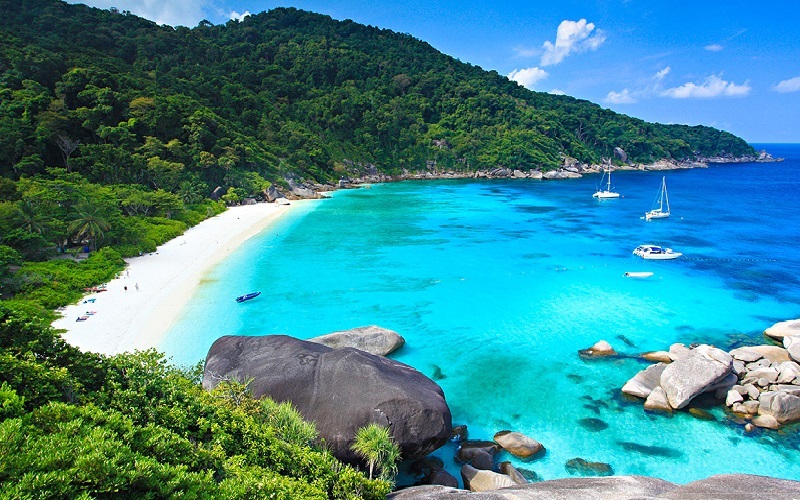 This gives great variation from dramatic rocks at the west side to white sand beaches and coral reefs in the east. During the monsoon the National Park is closed so you can only visit from November to May. Departure from the pier to Similan Islands. 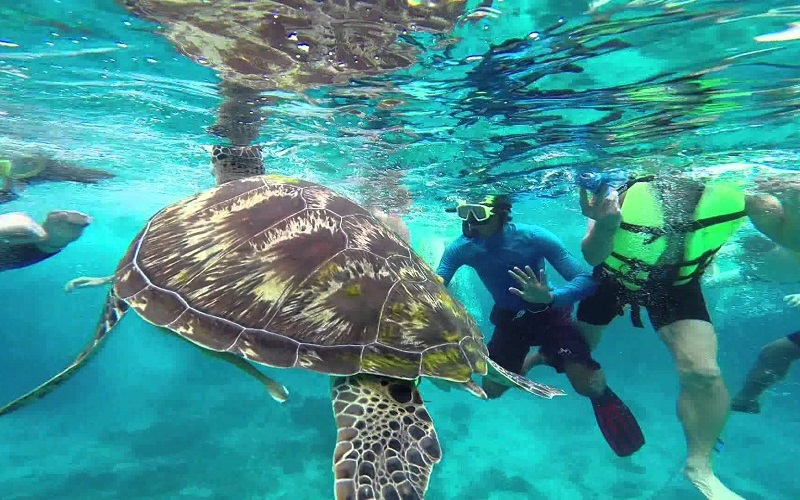 Arrive to Koh 8 enjoy the beach and Explore climbing to Sail Rock, swimming or snorkeling or just Relax on the beach. 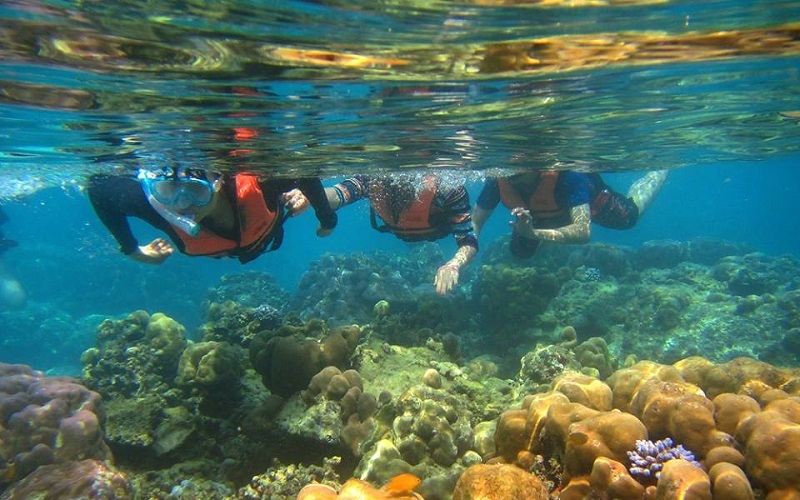 Snorkeling and Sightseeing at Koh 7 (Payu), Relax on amazing beach at Koh 4.